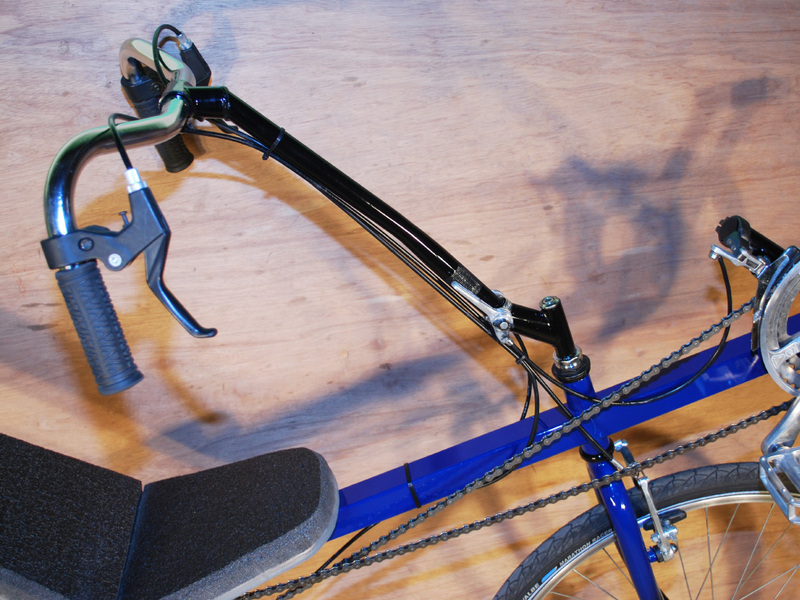 A Fast and Agile Recumbent Bike You Can Build. 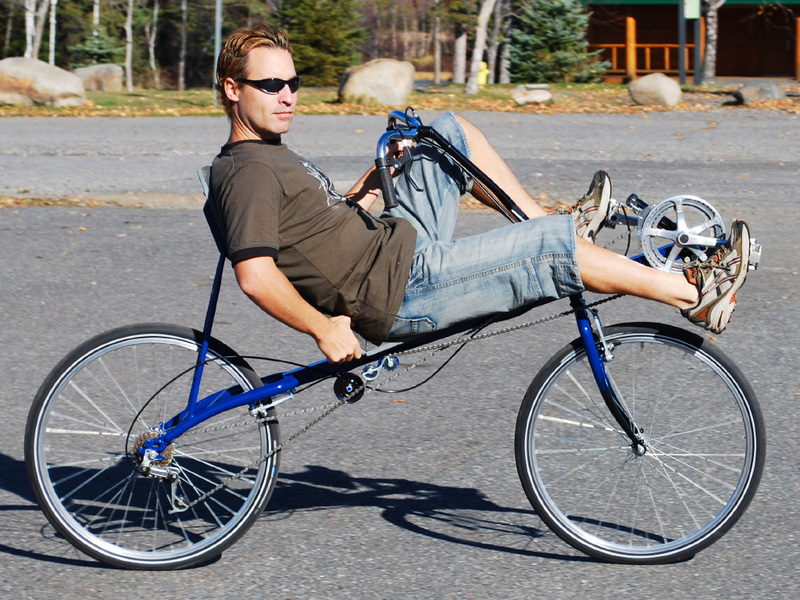 The HighRoller DIY Recumbent bike is a zippy and responsive medium wheelbase bike you can easily build from scratch. 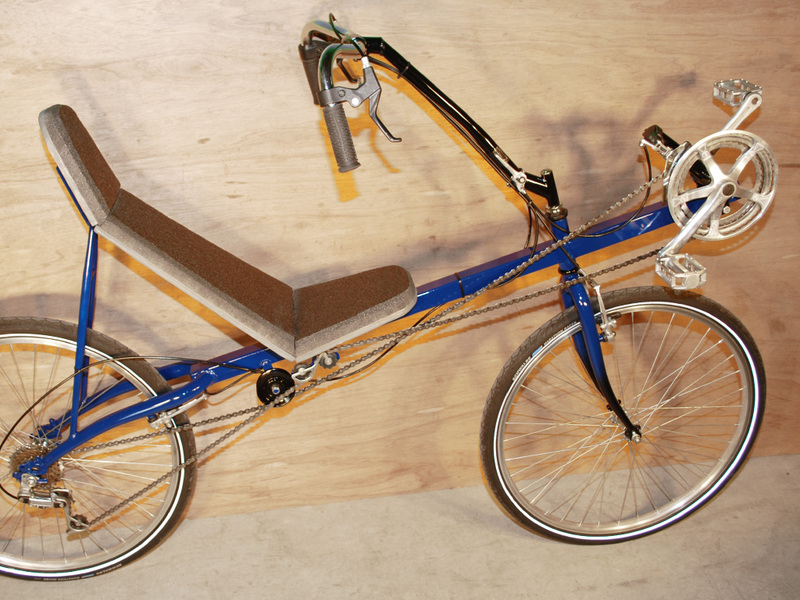 Using only standard bicycle parts, you can roll out of your workshop in a few days on this great performing DIY recumbent racer. The laid back recumbent seating is both comfortable and great for pushing hard on the cranks, and it puts you at eye level with city traffic, so you can commute on busy streets with confidence. Besides the few feet of square steel tubing, the rest of this DIY recumbent bike is made from the parts taken from a single road or mountain bike. You need only some basic hand tools and any welder, and can build your own in a few days on a small budget. Only Basic Tools and Parts Required. 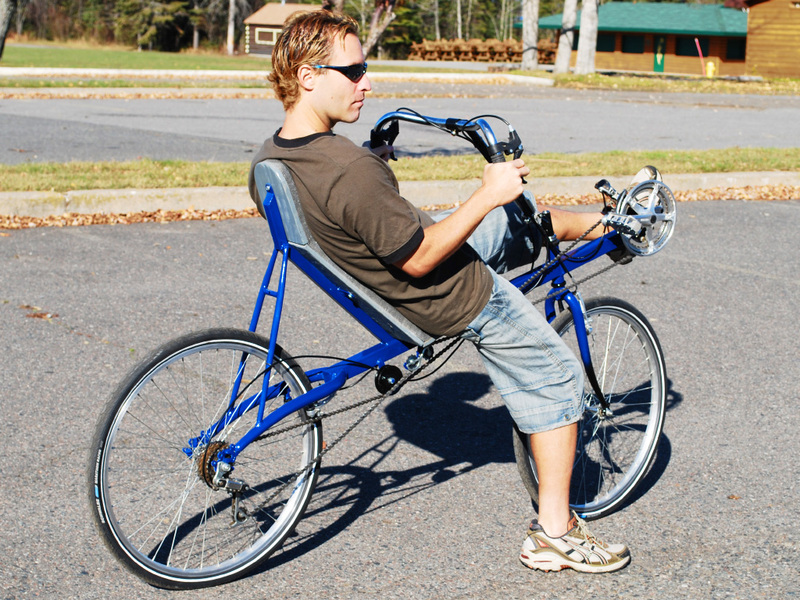 We design our plans so that anyone with a desire to build can make their own great looking home built Recumbent Bike. This is a great DIY recumbent bike to build if you are just starting out, and it can be made for less than the cost of one tank of gas in your SUV! Find out why recumbent riders never go back to upright once they have felt the comfort and performance offered by a bike like this. Your sore seat days are over. 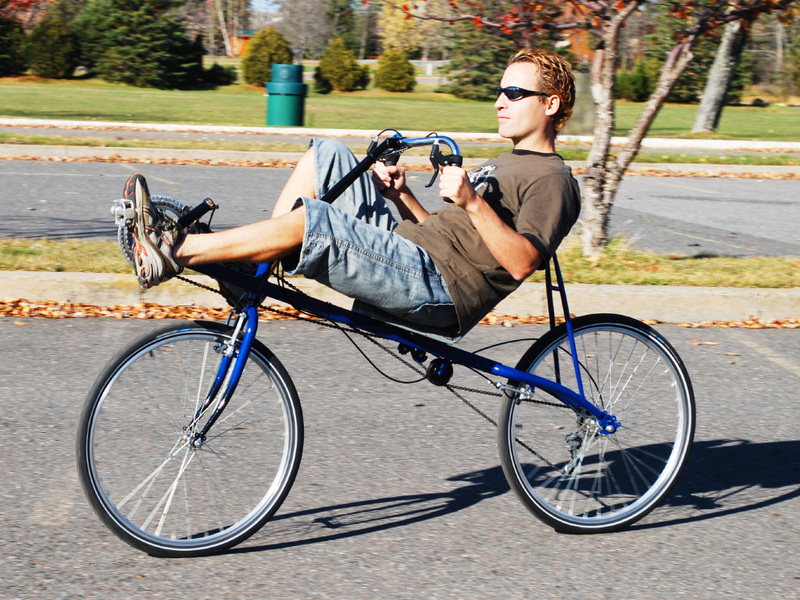 By recycling old bike parts, you can build your DIY Medium Wheelbase Recumbent bike for almost no cost. If you want the topmost quality, then you can also purchase new components to suit your style and budget. Recumbent Bikes Are Easy to Learn, and Fun to Ride. A short or medium wheelbase recumbent bike feels a lot different from a standard upright, but it is not hard to master. Once you train your recumbent muscles, you will be able to push power into the cranks in a way not possible on a standard bicycle. The recumbent riding position is more efficient, much more comfortable, and allows you to enjoy the scenery in a more relaxed position. 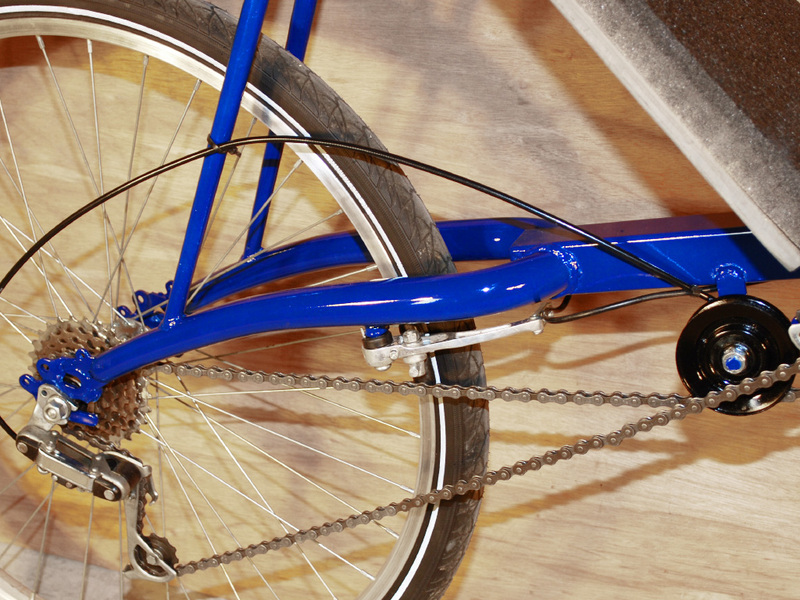 The chain is routed efficiently under the seat using a department store pulley, and a converted road bike derailleur. The chain line also ensures that there is no wheel or crank interfernece, so this recumbent bike design is well behaved and easy to master. Over Seat Steering For Great Control and Comfort. Rather than leaning over the handle bars, you can sit back and hold them much like you do when driving your car. The brake levers and shifters are easily reached, and the handlebars are fully adjustable for optimal ergonomics and control. Like all of our DIY Bike Plans, you can adjust many of the aspects of the design as you build, creating a vehicle that completely suits your size and riding style. The cranks position is fully adjustable for any leg length due to the sliding bottom bracket, which allows the cranks to move with the simple turn of a wrench . The frame can be built to fit riders of any possible height and leg length as well. Corner at Full Speed, and Accelerate With Power! Recumbent bikes are speed demons because they do not have to slow down in turns, and because you can press full strength into the cranks. With your back pressed tight into the full support seat, you can crank hard like you were using a leg press at the gym, delivering all you have to the rear wheel. Because the cranks are far off the ground, there is never a risk of a pedal strike, so there is no need to slow down in the corners. 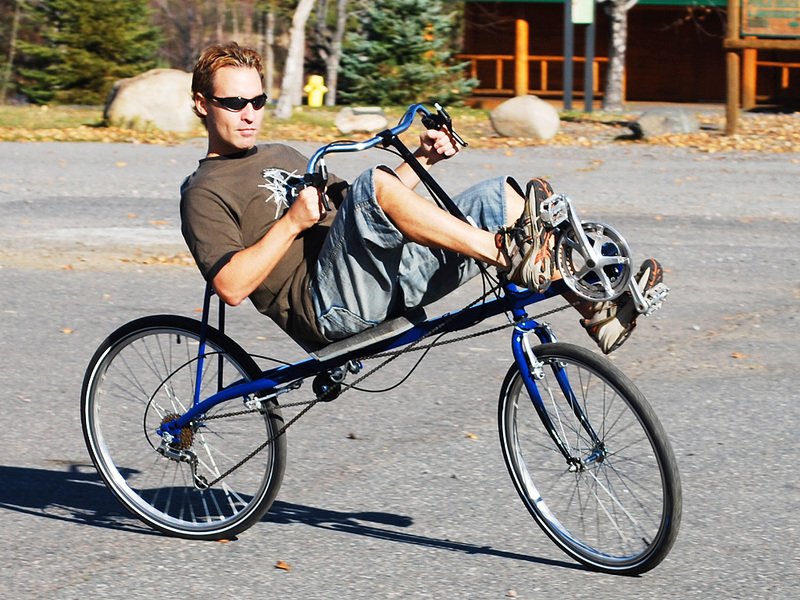 This plan can be easily modified to support smaller wheels, and adjusted in many ways to create a completely unique DIY recumbent bike of your own design. We promote changing this up during the build, so let your imagination run wild. Carry Your Cargo Behind or Under The Seat. Recumbent bikes are far more comfortable for endurance riding, and this design lends itself well to carrying cargo. With plenty of room behind or under the seat, you could easily carry your touring gear for that cross country ride, or long commute. For those requiring a little boost, you can easily adapt a hubmotor and battery pack to this recumbent bike, placing the battery box behind the seat. If racing is your thing, Then a DIY recumbent bike plan is a good start for designing a high performance racing bike, as you can easily alter the position of the wheels and cranks to change it into a more aggressive racing machine. Standard Bike Transmission and Brake Components. You can salvage most of what you need from a single mountain or road bike. Caliper brakes or disc brakes can also be used. The cranks and derailleurs are both standard as well, so you can choose the number and type of gears to suit your riding terrain. Good quality high pressure tires can make a huge difference in speed and efficiency, and this design allows swapping out rims and tires of various sizes easily. 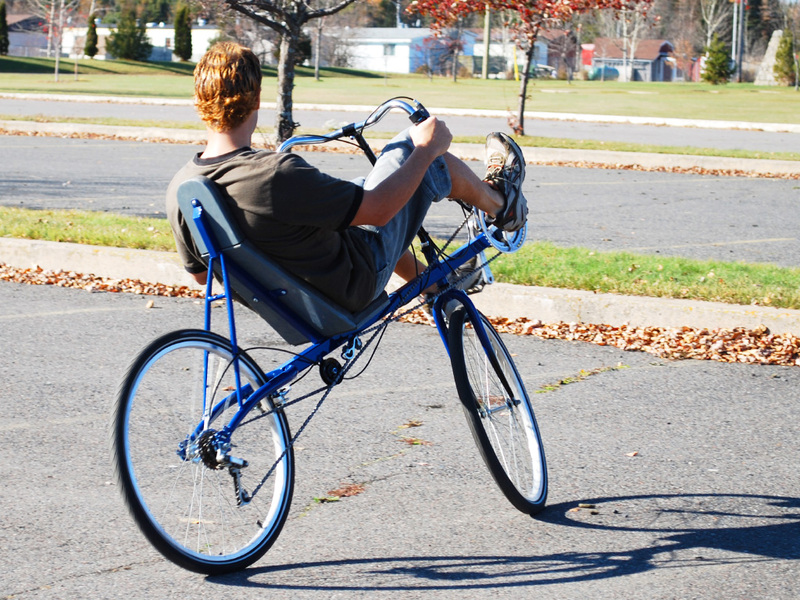 Turn that ten dollar yard sale bike into a cool looking, fast riding DIY recumbent high racer! Once you feel the comfort and efficiency of a recumbent bike, you may never bother riding an upright cycle ever again. Hey, Sweet Ride! Where Did You Buy it? One of the rewards of building your own bike is getting to say "I built it myself", and you will get asked that question a lot. With a few days of fun work, and a can of spray paint, you will emerge from your workshop on a cool DIY recumbent bike that looks like it was purchased. A bike built from scratch is always completely suited to the builder, so you will finally enjoy a bike that performs the way you want it to. Bike building is a great hobby that rewards you will a fun to ride final product that will perform well for many years. You only require the most basic bicycle parts and tools in order to create a fast and fun recumbent bike of your own. Time to get rolling!